With Reality TV still proving ever-popular, the idea of using the everyday person as a star in entertainment is no new thing. However, things just got a little bit creepier with Noah Levenson’s interactive short Weird Box – a film that takes the images of an Instagram account (you choose the account) and makes them the obsession of one of the central characters in its narrative. 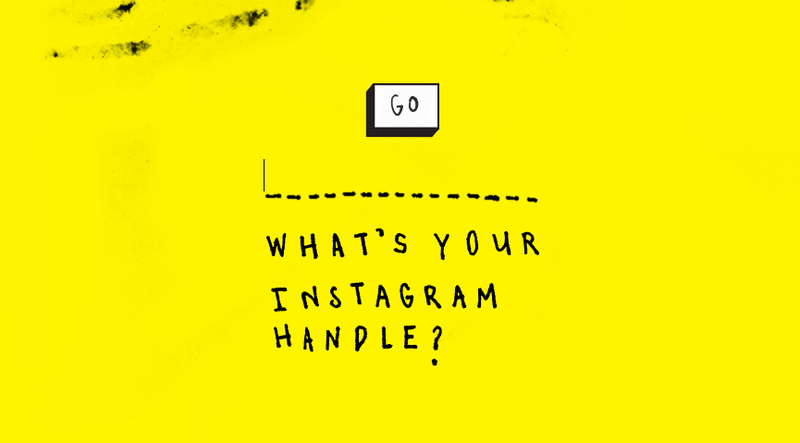 Looking to create a film which “merges the reality of its own fictional narrative with the very real reality of the viewer’s life”, director Levenson was researching ways to incorporate user generated content into a film when he decided upon the inclusion of Instagram in his short. Describing the platform as “where everybody’s at these days”, Weird Box takes the photos from your nominated Instagram account (using your own can be very creepy, but using a friend’s is hilarious) and makes them the source of conflict between the film’s quarrelling couple. Taking about a year and a half to make, a lot of that time spent working on software engineering challenges to achieve “frame-accurate video synchronization in a web browser”, Levenson was eager to create something which pushed the interactive film format forward a little bit. “Combining filmmaking with software development yields this whole other weird medium that I think is really exciting” the filmmaker reveals. “The web browser is the movie theater of the future, and I wanted to demonstrate why that’s awesome. Synopsis: Seemingly normal thirtysomething Dave is pathologically obsessed with YOUR Instagram pics. And when his girlfriend discovers his weird secret, all hell breaks loose. Casting himself in the lead role since he was the only person who really understood all the technical considerations and performance requirements, Levenson and his crew had to employ a host of practical tricks throughout production to ensure a picture was never shown in motion. Rehearsing the story like a play with fellow lead Katie Boland to make sure they memorised all the photo placements and hit all the right marks, the time, dedication and commitment Levenson put into perfecting Weird Box shows what a real labour of love this creation was. Now working on an interactive feature film, alongside a “bunch of bigger, weirder, cooler projects that merge your life with the world of a film”, we’re eager to see if Noah can push the boundaries of interactive film further with his next projects – we feel the medium needs a gentle shove to help it pick up some momentum again.